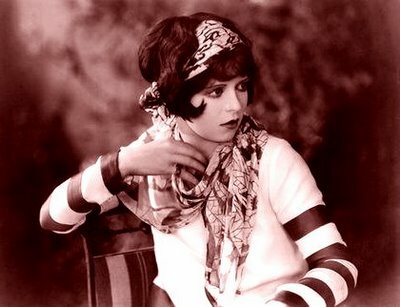 Eighty years after the peak of her fame, Clara Bow still captivates. She's alluded to on the runways, copied in the glossies and even has quite a few Tumblrs and You Tube videos dedicated to her talent and style. That's quite the feat, considering the non-popularity of silent films (Clara's heavy Brooklyn accent was one of several things that made her leap to talkies a bit of a belly flop) and the fact that well over half of her movies aren't available anymore (or have been lost entirely). In 2011, I'm rather enamored with the way she wore scarves. She tied them everywhere, and the way she wore them in her hair is perfect if you're growing out a short crop. The scarves, the accordion pleat skirt, and the cardigans are all very doable today. 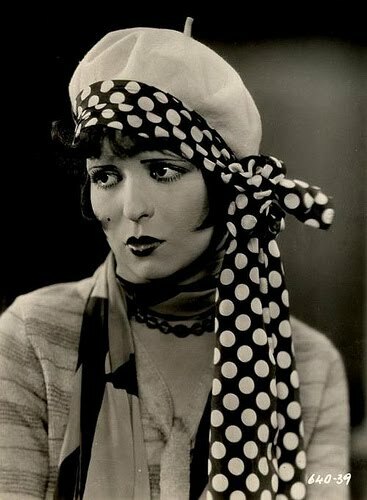 Image source: The Clara Bow Archive. 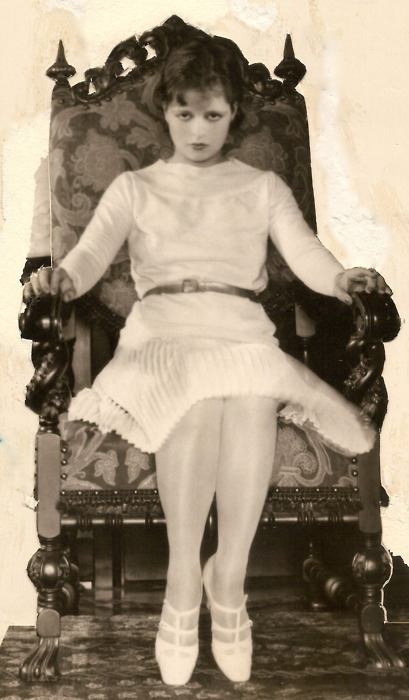 Check them out for a crazy amount of rare images. oh! I saw almost those exact black t-strap pump for sale at TJ Maxx, but nixed the thought and decided to buy the on-sale Anthropolgie blue loafer pump instead. Love, love, LOVE the 20s styles.